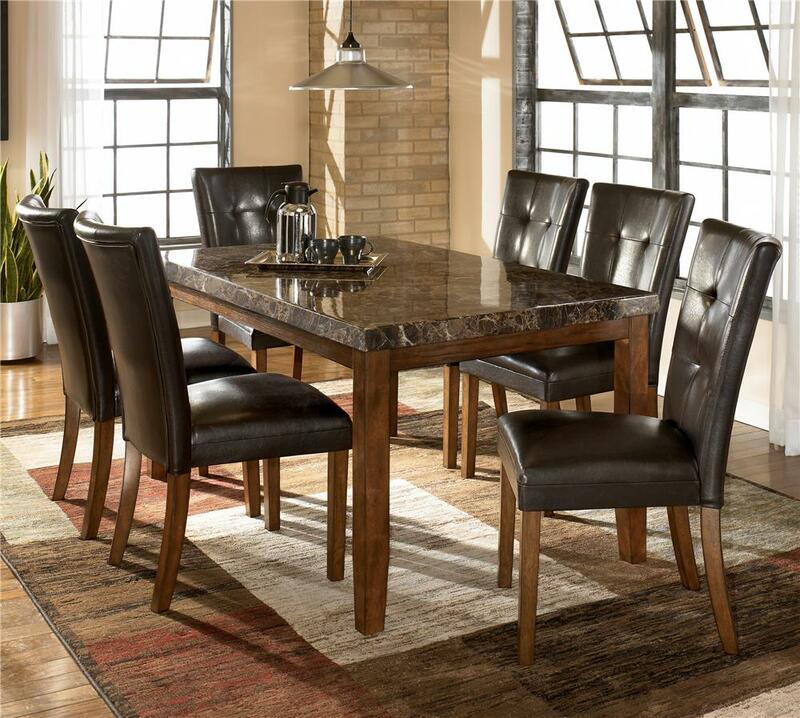 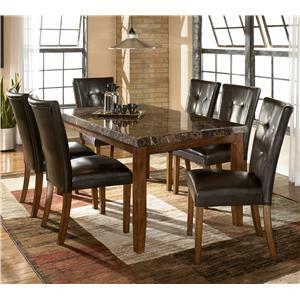 The rich contemporary design of the Lacey dining room collection features faux marble and a subtle rustic beauty to create a sophisticated atmosphere that is sure to enhance any dining experience. 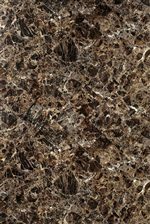 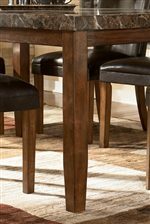 The thick profiled faux marble table top is covered with a clear polyurethane finish and is supported by the slightly tapered contemporary legs in a dark brown finish. 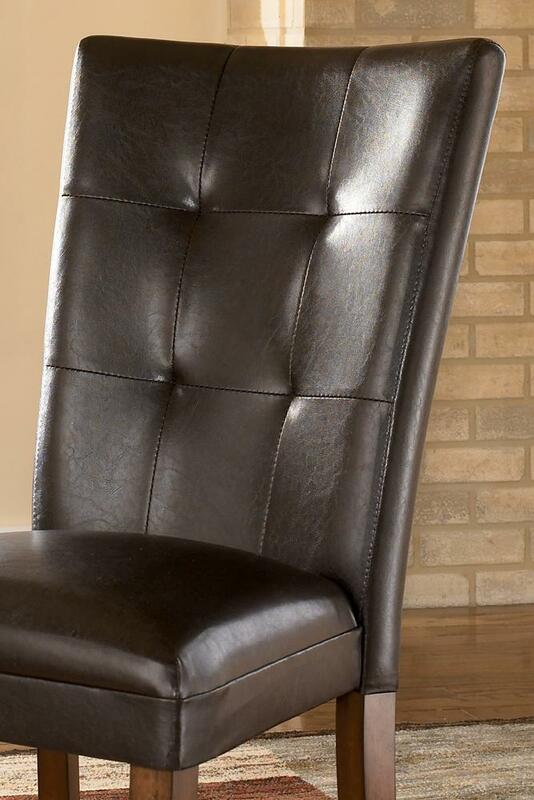 The brown vinyl upholstered chairs feature the rich look of faux leather with stylish stitching and button tufting to further enhance the upscale contemporary design of this dining collection. 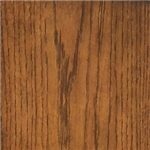 Create a sophisticated style for your dining room decor with the inviting feel of the Lacey dining room collection.